Freight forwarders play an important role in the business success of companies engaged in international trade. It is through the provision of efficient transportation services that these businesses are able to gain some market advantage. The main purpose of using a freight forwarding operation is to facilitate the shipment and delivery of goods as part of buying and selling at an international level. 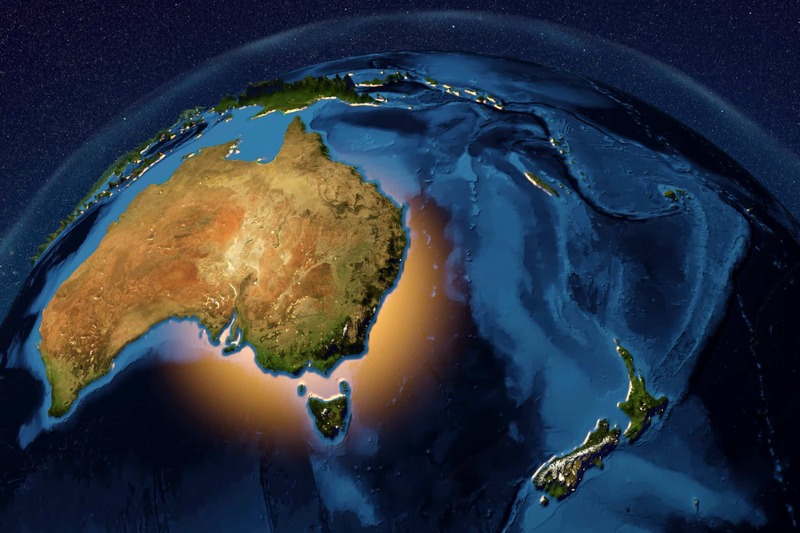 For a skilled freight forwarder going from China to Australia, goods movement is now simply another transaction that will be managed professionally. Some aspects of the nature of international trading activity are becoming more complex. There has been the removal of many trade barriers, but at the same time business entities and business processes have become more complex. Being able to meet the regulatory needs of governments, as well as ensuring that all commercial requirements are covered, is an important part of the activity in international trade. Having a skilled freight forwarder will help in many commercial elements of the transaction as well as facilitate the movement of goods through local legislative requirements and across borders. Finding the most efficient way of moving goods is an important consideration. This may involve a combination of transport modes, including road, air, sea, and rail. It requires the knowledge of an experienced operator to be able to identify which combination will be able to produce the best outcome. Part of the role of a freight forwarding operation is understanding what transport modes are most suitable, reliable, and affordable for each region. There is the potential for costs to be added at each step of the journey and being able to work through the associated documentation and processes is an important consideration. A business may start trading in the local market and as it develops it may recognise that there is an opportunity in other markets. There might be an operation that has identified products from overseas that would be important for selling in a local market. An organisation may have identified that a raw material they use in production is able to be sourced at a very good price from an offshore producer. There are many scenarios where a business may need to use the services of a freight forwarding company. The fundamental reason is that they need to use the skills, experience, knowledge, and expertise of a specialist organisation to assist them. Many developing countries have transport and logistics operations that are inefficient. This can lead to long transit times and delays. There can be problems with reliability with seemingly hidden factors for the uninitiated that can impede the progress of a shipment. This can increase the transaction costs for somebody undertaking international trade. However, by having an organisation that is familiar with the processes for a particular environment, it may be possible to circumvent some of these problems. There may be a range of factors that could impact on trading activity as well. This could include weather conditions, local regulations, cultural celebrations, and regional commercial practices. For a freight forwarder, China to Australia is a well-established route. They can easily send a shipping container from Australia to New Zealand. Each activity has its own requirements and they have the knowledge to manage this. One of the most valuable commodities for any business person is their time. Investing time in areas where there are likely to bring the most benefits make sense. If there are service providers who are able to undertake the work in an efficient and reliable way that will fit in with the budgetary limitations, then it is best to take advantage of the services they are able to offer. In providing both national and international transportation options, established freight forwarders are able to manage logistical requirements and streamline processes to reduce costs. Freight forwarders work collaboratively with transport companies to determine the most effective way to move goods from a supplier to a buyer. Whether it be moving a shipping container from Australia to New Zealand or moving a shipment from Vietnam to Australia, assistance is able to be provided. As part of the development of Stockwells, we have focused on communication, maintaining high levels of organisational skills, investing in technology, and being willing to look for solutions. We are able to offer professional services, advice, and assistance to our clients on every step of the way. We understand the need to collaborate with our client and look to establish and then maintain open and effective communication with our clients. We have good relationships with our providers, and we are also willing to work closely with buyer's representatives to ensure that delivery runs smoothly. Our aim is to give our clients confidence in the quality of our service so that they are able to spend less time being concerned about the shipment and are able to focus on other important business activity. We have introduced technology, systems, and processes to make it straightforward to check on the progress of a shipment and we are always willing to provide information to clarify any questions a client might have. We understand that the shipment is important and that it needs to get to its destination on time, within the budget, and without any damage. The international trade and transport sectors have become more competitive. There are more recently established international freight forwarders who have recognised this trend and begun to start marketing a wider range of services to attract clients. However, at Stockwells we recognised this trend years ago and we have been investing in technology and changing our business operations to ensure that we have the necessary advanced level of expertise to provide these services at a highly professional level. We have the resources and knowledge to be able to individually develop solutions for our clients. If you need a freight forwarder for China to Australia we have the expertise. Our freight forwarding solutions are made effective through the support of our extensive network, as well as many years of international business experience in providing logistics support for a wide range of deliverables. We are able to work closely with our well-established group of carriers and regional experts to cover all supply chain requirements. With international relationships that have been forged and developed over the many years our company has been operating, the transport freight solutions we offer are reliable, effective, practical and able to be trusted. If you are considering an international shipment, then contact one of our professional advisors by calling 1300 786 468. Stockwells will be able to give you more details about the services we provide and how we may be able to assist you with your requirements.